I’m a fan of all forms of masks: sheet masks, gel masks, packs, massage packs, wash-off masks, leave-on masks, DIY masks…and all these other great deep treatments for your skin. When I heard about the I’m from Honey Mask I was directly temped to try, but I hesitated to buy one of these. After a while the I’m from Honey Mask started to become super popular and it seemed to be appearing everywhere. When Wishtrend offered a sponsoring opportunity for their affiliates I was participating right away and luckily I was selected to review this mask. Unfortunately, the mask kept being out of stock due to popular demand and I didn’t receive the mask until around three weeks ago and I’m loving it since the first time I tried it! I’m from is a Korean brand with the motto “a good cosmetics with a good ingredient”. They are using natural ingredients in their cosmetics and want to be honest and quality provider. They have three promises to their customers, being 1. open composition, which means known ingredients, 2. Honest Farm, meaning honest ingredients with true origin, and 3. being free of harmful chemicals. 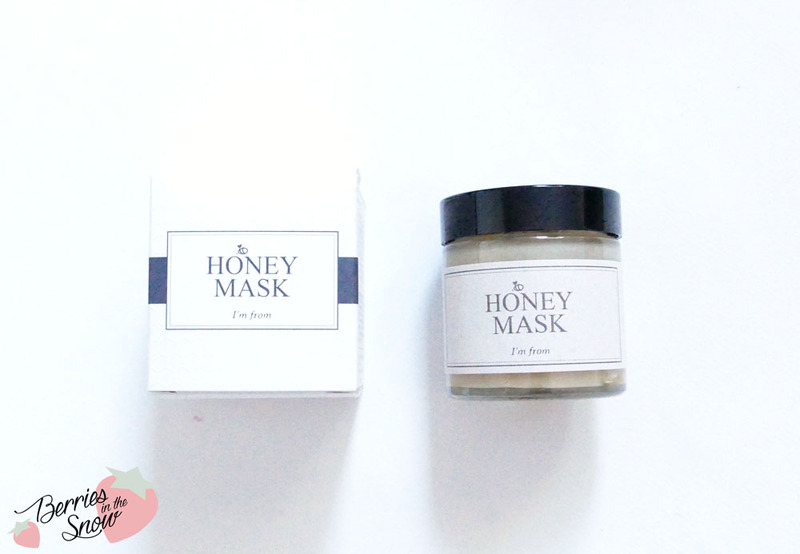 The I’m from Honey Mask is packed in a cardboard box with a simple design. The paper has the pattern of honey combs imprinted, which is a cute idea. If you look closely (or click and enlarge) you will see the pattern on the cardboard box. 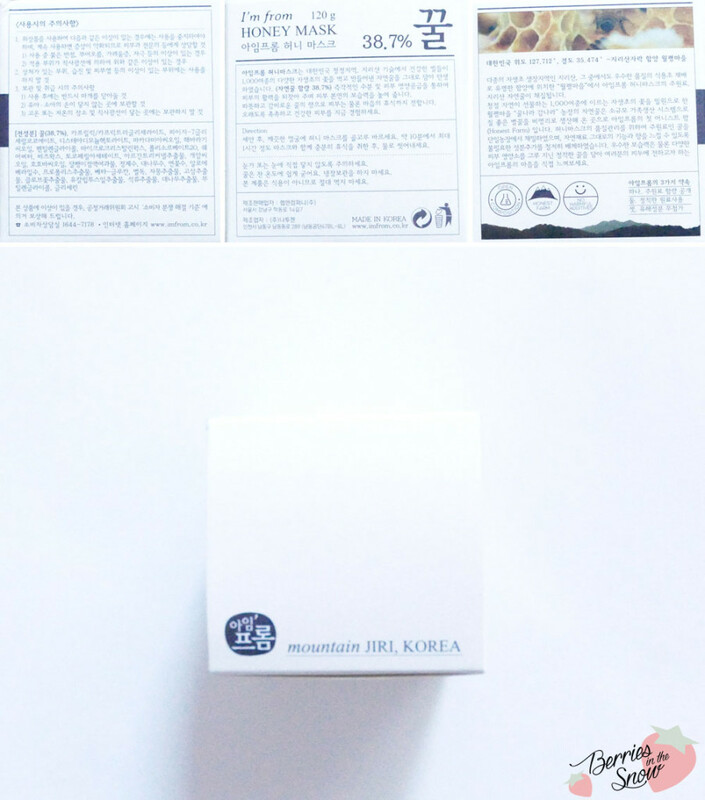 The description on the box is written in Korean only, but you can find very detailled English description on Wishtrend. So what is so special about this mask? Since honey has been one of the trends lately in Korea, there were released quite a bunch of honey containing products. 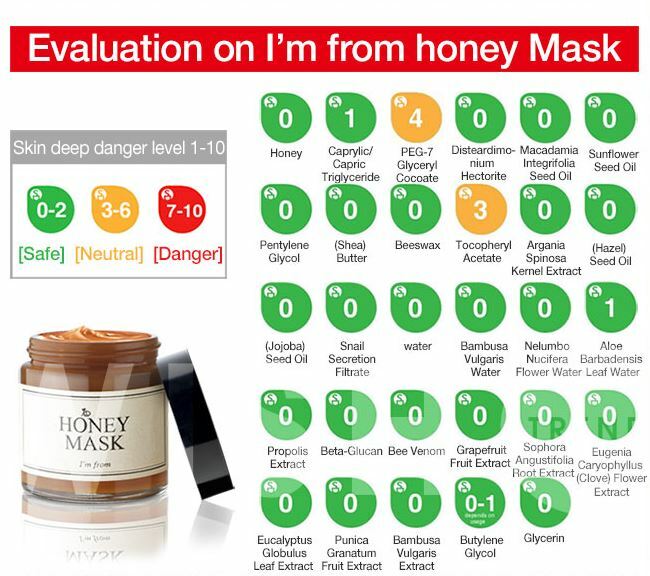 The I’m from Honey Masks points out, that it differs from other honey containing products in the point that it contains 38.7 % of real herbal honey from Jiri Werl-peyung vill. In contrast to other products using honey essence, this product uses real honey as a whole ingredient. That means 38.7 % is real honey, which means three tablespoons honey per each I’m from Honey Mask jar (120 g). 61.3%, that means the other parts of the masks are ingredients which help the honey to better add its nutritions to the skin. These ingredients are Lotus Water, Macadamia Oil, Beeswax, Sophora extract, snail slime filtrate, jojoba seed, sunflower seed oil, grapefruit extract, bamboo water and so on. Below you can see a full list of the ingredients including their safety. You can also look up the ingredients on COSDNA >>here<<. If you are curious about the Korean description you can enlarge the below image to have a closer look at it. The mask itself comes in a glass jar and looks like the jars you get when you buy honey. 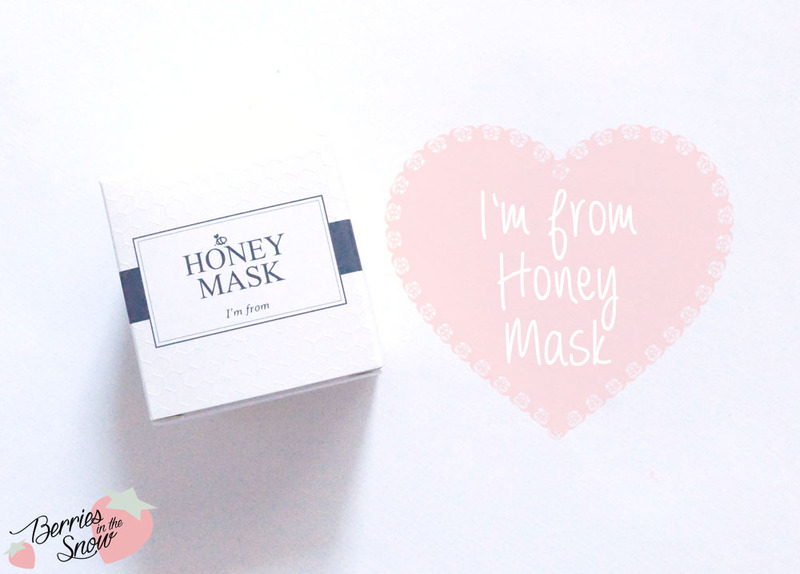 The I’m from Honey mask looks like those thick and sugary honeys, rather than the clear liquid honeys. Since most of the products are natural the ingredients might separate after a while. When I opened my jar for the first time I observed this separation, but after stirring it, the consistency becomes homogenous again. The I’m from Honey Mask comes with a spatula to scoop the mask out of the jar and it has a plastic lid separating the lid of the jar with the product. Unfortunately, the plastic separator is not closing very densly, which is why my mask was leaked out a bit, when it arrived. Since the mask has a honey consistency it is also similar sticky (because of the sugars) to honey and it was a bit of annoying to clean it up. The color of the I’m from Honey mask is golden, with a creamy consistency. As said before it is similar to honey and therefore has a sweet honey scent and it quite sticky. Since it is a wash-off mask the stickiness is important, because it helps the mask to stay on your face instead of dripping down the whole time. After washing off the mask (I recommend lukewarm/warm water) the skin feels very moistuized and glowy and really super soft and nourished. Below you can see a swatch on my hand, and how the product looks once spreaded in a thick layer. after washing it off (I used it for around 10-15 minutes here) the skin on the right side of my hand looks much more healthy and glowy than the other side. A very light and pleasant honey scent remains on the skin, too, and upon touching the skin you will feel the difference between the skin where you used the honey pack and the untouched skin. It feels like you’ve used a good hand cream and makes the skin very smooth in these areas. I also heard that honey has good anti-inflammatory properties and reduces redness of the skin. It has been used in ancient times, by the pharaos in egypt for example (one of cleopatra’s beauty secrets maybe?!). I luckily don’t have too bad skin at the moment, but nevertheless I can show you how the mask effects the skin in my face after using the pack for around one hour. The longer you wear the mask the more you can benefit from the ingredients inside. You can click on the image below to view it enlarged. My skin is more of the dry type, although as summer comes closer it tends to be normal (that means oilier) on the T-zone for example. My cheeks are regulary the driest parts of my face, so I show them below. I don’t have much of redness at the moment, only a few small dots, but nothing too grave. After washing off the mask you can see that the skin looks more healthy and glowy. It is noticeably softer when touching it and the skin feels less dull and firmer. I would love to know how people with more troubled skin experienced this mask. For dry skintypes this one works magic. By the way, the longer you wash it of the less glowy the effect is, because you wash off the oils. So if you are concerned about oilyness I can recommend you to simply wash it off longer. Honestly, I’m obsessed with this mask. I love the touch of the skin afterwards and it is the perfect pampering for dry skintypes. The scent is super lovely and makes it really tempting to eat the product. For dry skinned people it is definitively a must! But I think it has a lot of benefits for troubled skintypes, too, because of the known anti-inflammatory effects of honey for example (if anyone has made such experience feel free to leave a comment :D). After all, I really like the ingredients used for the mask, especially since I didn’t expect it to contain snail filtrate for example. If you are allergic against beevenom or honey, or in general natural ingredients you should check the ingredients before using it and/or make a patch test. I’m sure I will repurchase it once it is finished…to be honest, I’m almost half through the mask. Luckily, I have a bunch of sheet mask reviews ahead, so I will have to stopp using the I’m from Honey Mask until those reviews are done, haha. 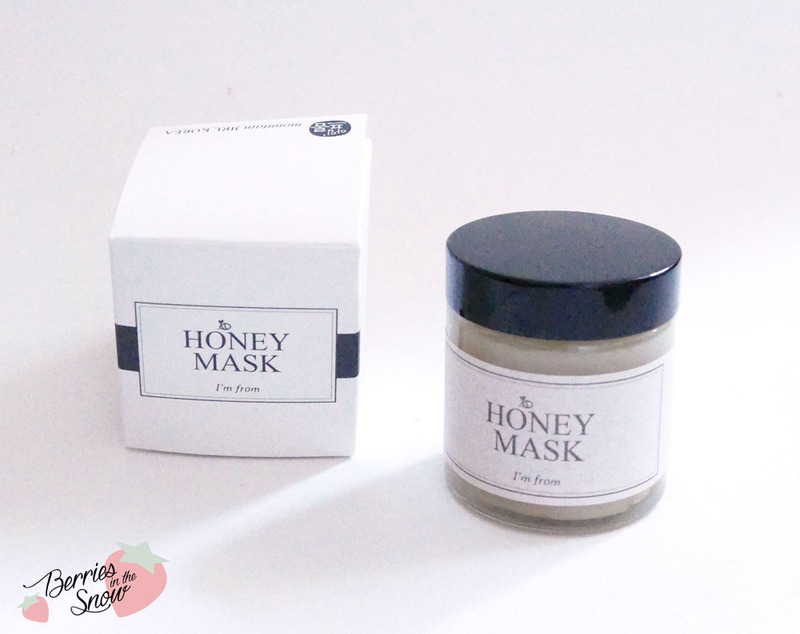 Since the I’m from Honey Mask is so popular it is discounted on Wishtrend to 28.43 US$. You can also chose an option to get the mask together with a silicon brush for applying the mask. I used the spatula and my fingers, which works fine aswell. Check out the May promotions on Wishtrend before grabbing those. Also, keep in mind their friend-referral program: You can receive a 5 Us$ referral coupon if you use my invitation code 17939205 upon registration and you’ll receive this voucher immediately.There will be a specific field in your registration form called “friends invitation program” where you can put the code mentioned above. This way new customers can safe 5 US$ which is a great possibility to safe some money. And if you have a blog/vlog yourself you should check out Wishtrend’s affiliate program! They are offering monthly sponsoring opportunities for their affiliates. I’ve nv heard of this mask (must have been living under a rock since it’s so popular), but after reading your review, it just makes me want to try it! I’ve nv seen such a thick consistency for a face mask before and it sounds amazing. Sounds and look really yummy! This sounds amazing! I’m going to have to put this in my cart so I don’t forget about it. Sarah last post…New Beauty Test Tube May 2015 Giveaway! Everyone is talking about this mask! I was intrigued by it too, but then again I actually use real organic honey straight from the pot as a face mask at least 2-3 time a week. 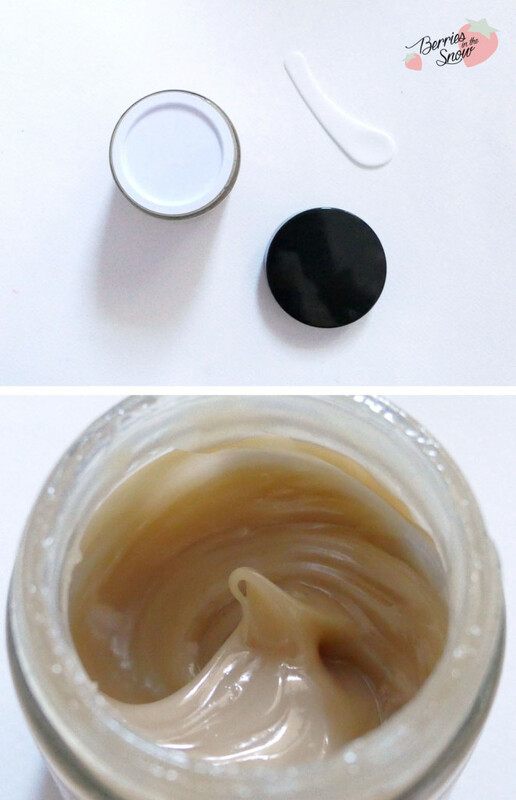 Have you ever used straight honey as a mask? I’d be interested in hearing whether it has the same effects as this mask!